As more people have acquired digital cameras over the years, it’s got more difficult to sell stock images. But I love it when I do shift some, especially ones that I’m quite precious about, like my fruity bus stop series. 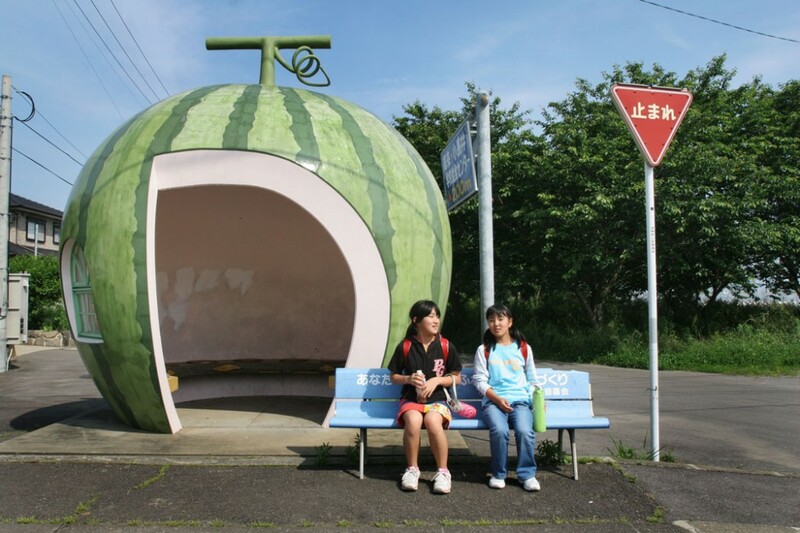 Several years ago when I was traveling the world and making photos of unusual bus stops, I made my way to a remote rural district within Western Japan. I kew about these quirky bus shelters from a couple of pictures online, but I hadn’t been prepared to see them so void of people. Therefore I did a lot of hanging around, and persuading locals who couldn’t speak English to pretend they were waiting. In all I spent the best part of two half days there, wandering between giant strawberries, melons and lemons. I needed to check that I hadn’t wandered into the set of Alice in Wonderland. 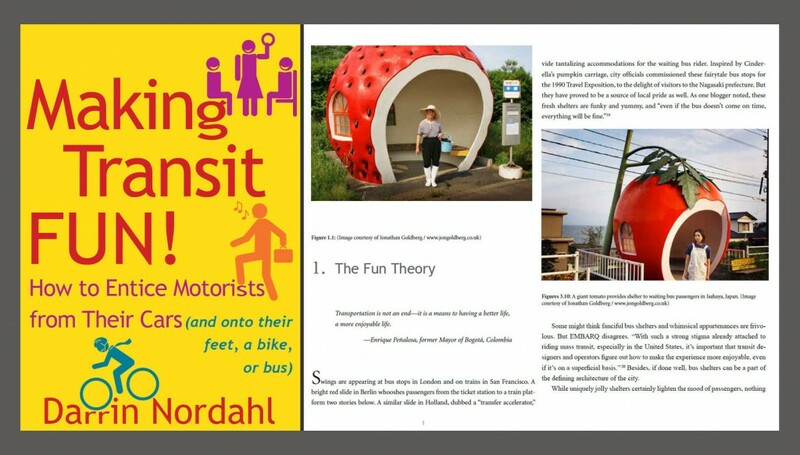 It’s great, therefore, that they have seen the light of day in Darrin Nordahl’s book about public transit.